The Sequoia trees are the oldest living things in the world. They grew in large forests millions of years ago, in the age of dinosaurs. During the Ice Age many kinds of Sequoias disappeared and only two kinds left on our planet. One of them, the giant Sequoia, can be found only in the north of California. The tree was named after Sequoyah, an American Indian, who invented a written alphabet for his tribe. No one knows how long a Sequoia can live. Many trees in Sequoia National Park, in California, are more than 3,000 years old. Now there is a law that protected Sequoias from being cut. But before it was passed one of the oldest and largest of them was chopped down. The growth ring at the center of this giant Sequoia dated back to 1305 BC. 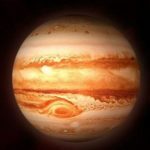 It means that it was more than a thousand years old at the time of the birth of Christ! 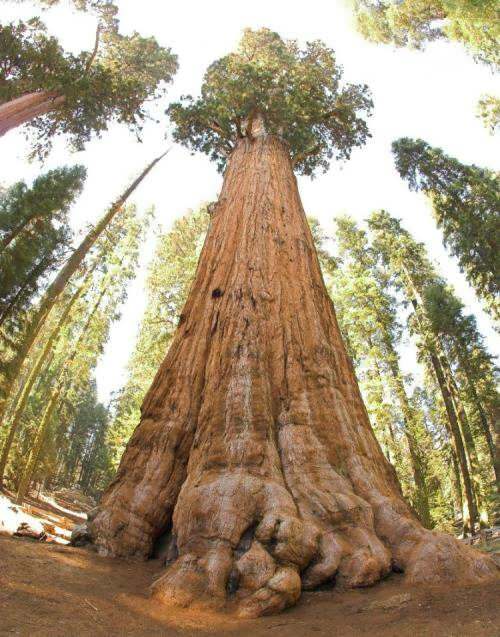 The General Sherman tree is one of the biggest Sequoias in the world. It is 83.8 metres high, and the diameter of its trunk is 31.4 metres. Sequoias are very durable. None of these trees has died from old age or disease yet. The bark of the tree has a special tannin or juice. This protects the tree from fire and insects. However, lightning often destroys the tops of the largest Sequoia trees. Baobab is known as upside down tree because its branches are very similar to the roots. Their trunks can hold thousands of litres of water, and elephants sometimes tear the trees down to get to the moisture inside. 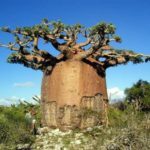 The Sundland baobab of South Africa is probably now the largest individual baobab in the world — it measures about 35 feet in diameter and has a circumference of around 110 feet. Its fruit has a velvety shell and is about the size of a coconut, weighing about 1.5 kilograms. It’s a problem to estimate the age of baobab because it doesn’t really have clear growth rings. Scientists use radiocarbon dating which commonly used to age archaeological remains. 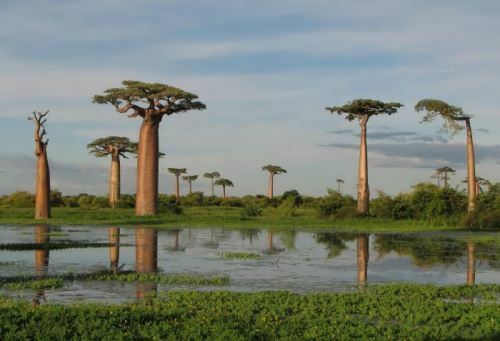 Baobabs are often over 1000 years old – the oldest known was over 1275 years old when it died. 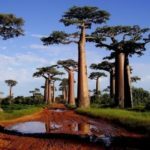 In some African countries the trunks of baobabs were used as the burial place of tribal chiefs or as a place for living. 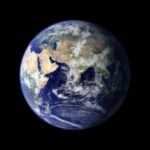 The tallest tree in the world was regal eucalyptus (150 meters). Unfortunately, it was cut down in 1872 in Australia. Rainbow eucalyptus trees are also very tall. They can grow taller than 100 metres. Rattan palm is the longest tree. 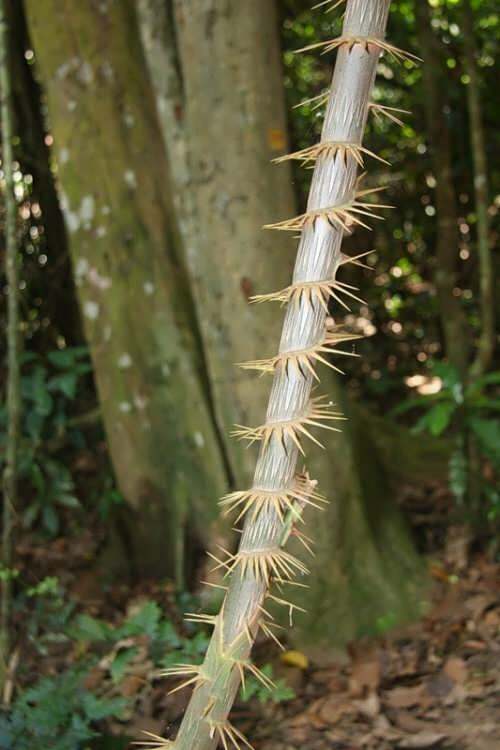 This climbing palm can grow up to 300 meters. 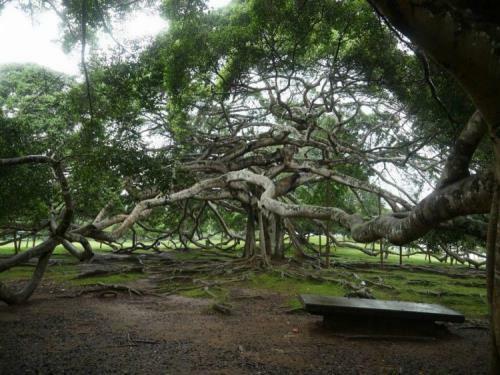 The Great Banyan Tree from the Indian Botanical Garden has the biggest crown – its area is 1.5 hectares. 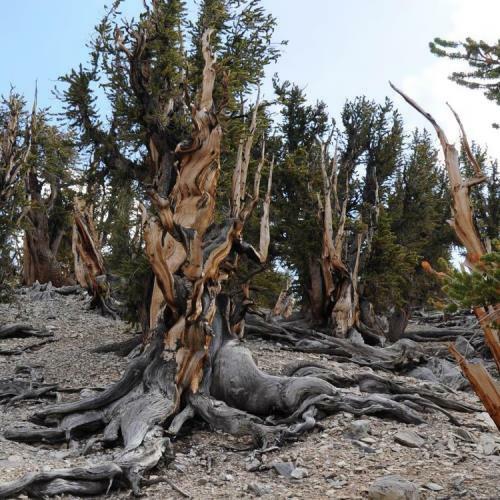 Methuselah, ancient bristlecone pine, is more than 4,800 years old. It grows in the White Mountains of California. 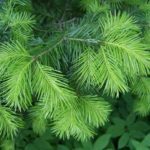 The oldest pine – Prometheus, which was about 4,900 years old, was cut down by a researcher in 1964 with the U.S. Forest Service’s permission. Montezuma Cypress tree in Santa Maria del Tule (Mexican state of Oaxaca) is the thickest tree. It measures more than 119 feet around, but is only 116 feet high. 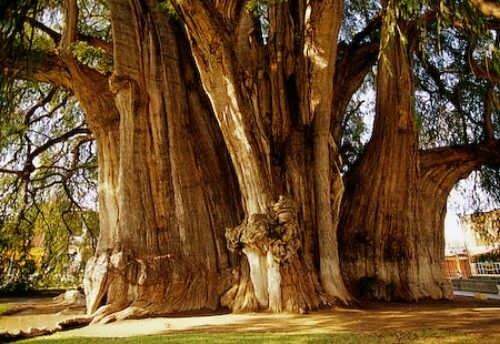 It’s believed that the tree is about 2,000 years old. 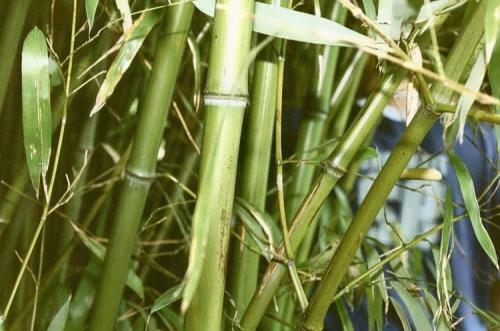 The bamboo is the fastest growing plant. 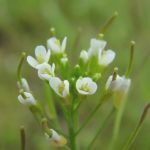 It can grow up to 40 cm per day. Banana tree is the highest grass. 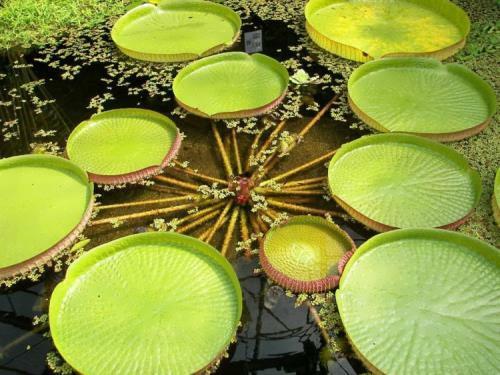 Victoria amazonica (giant waterlily) is the largest water lily in the world. Its diameter is more than 2 meters.